My salesman TJ was very helpful and made the car buying process very simple. He was very friendly and provided great customer service! I will definitely recommend Gerald Nissan to my friends and family! 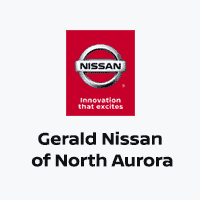 We have always been treated well by Gerald Nissan staff whether it has been car purchases or vehicle maintenance. We have purchased vehicles with a great balance of assistance and patience from the sales reps and the garage keeps us up to date with our maintenance without pressure. Easy in and out when you make an appointment.